I feel it. You can feel it. The electricity is in the air from the Pittsburgh Penguins’ transition into the upcoming title defense season. How can you defend a Cup without you’re defense? It’s nearly impossible to retain a whole defensive core for consecutive seasons without players seeking a raise in pay with another team. It’s even harder to return the entire defensive core after a Stanley Cup victory. The Penguins did that, minus Ben Lovejoy as he signed with Ray Shero in New Jersey. Returning a core as good as this one takes commitment. Justin Schultz is committed. Either he really wanted to play for another chance at a Stanley Cup or he just didn’t recieve any offers out on the open market because the Pens got him on a cheap deal. Otherwise, this staff is ready and committed to being just as good this upcoming season. 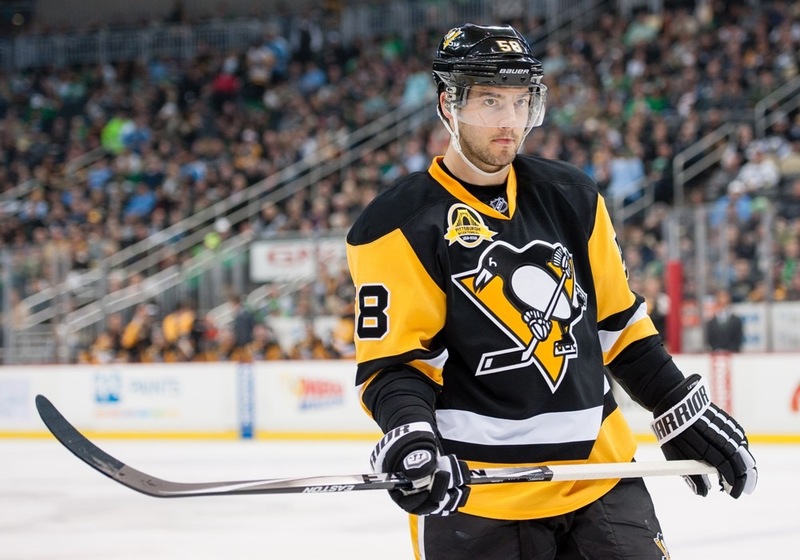 Letang will head into 2016-2017 as the unquestioned leader of the defense. Not that he wasn’t before, but his start to last season indicated he may not be any longer. 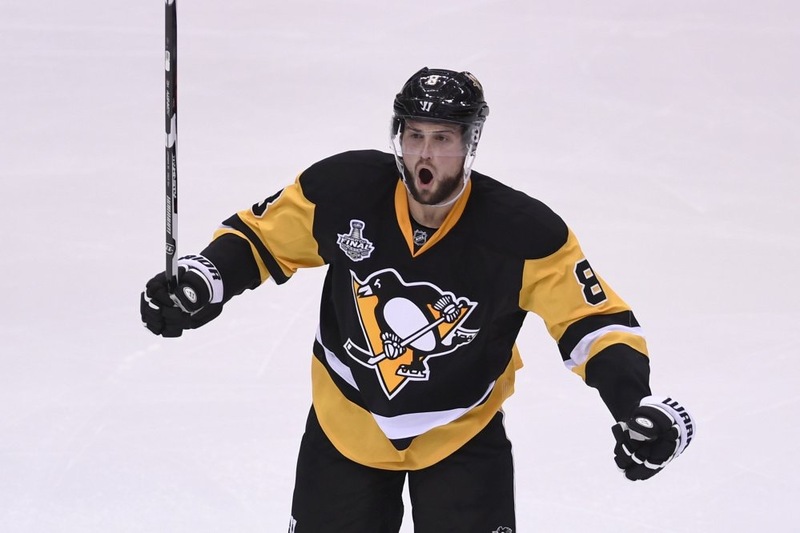 After being paired with Ian Cole, Letang suffered through a two and a half month stretch of misery before finally finding a rhythm within the Penguins offense. He found success with Trevor Daley throughout the season until Daley went down right before the playoffs. Then he got to play with Brian Dumoulin down the stretch. The two never looked back, both scoring goals in game six of the Stanley Cup Finals. The Penguins won the Cup that game. A healthy Letang has the possibility to be a legitimate contender for the Norris Trophy if he plays well the entire season. Last year, half a season wasn’t going to win him the award. The Penguins are in good hands with this guy on defense. The young Finnish defenseman who has been through a tumultuous beginning to his career, including cancer and surgery, was rewarded a six year deal to stick around and hopefully become Letang’s long term partner. If this pairing comes into fruition, it could be one of the hardest to defend in the league. The only problem would be Maatta’s foot speed. After inconsistent playing time, Maatta could never get his feet underneath of him. He finally started to get hot towards the end of the Tampa Bat series and heading into the Cup finals against San Jose. I like the young kid’s composure and I think he can thrive if he plays with Letang. I expect to see a ton of Maatta this year and I can foresee a much better season out of Olli Maatta. This man is my favorite Penguin. It’s been documented before and will continue to be documented that I love him and he’s the most under appreciated Penguin on the squad. The least offensive threat across the NHL has a puck moving presence. He by no means is faster than his matchup on the ice, but is incredible at keeping people to the outside and not being beat. His defense is his strength. He matches opponents speed and is rarely caught out of position. I could count the turnovers from him last season on one hand and he got to play with Kris Letang during the Cup final after the Trevor Daley injury. He scores two goals in the playoffs last season. One against Washington in a crucial game and one in the clincher against the San Jose Sharks. This season, fans will appreciate Dumo more and watch him become a shut down defenseman. Remember, Paul Martin was originally known for being a sound defenseman in season one but became an offensive threat after that season. They’re two different types of players, but you never know. What a great trade that made absolutely no sense! Who trades Rob Scuderi for anything more than a bag of pucks and an eighth round pick? (yes, I’m aware there isn’t one, it’s my poor sense of humor). Daley came onto the scene and played some great hockey. It’s unfortunate that he went down with an injury right before the Cup Finals rolled around but he’ll be more than ready to jump into action opening night. 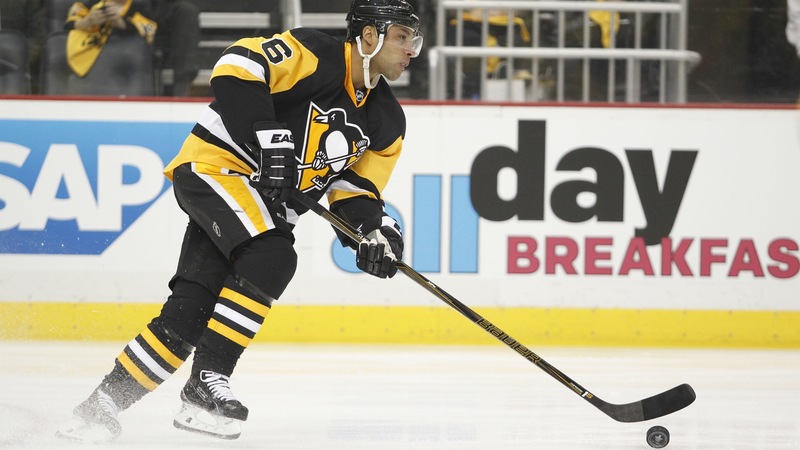 Daley likely will play again with Dumoulin. 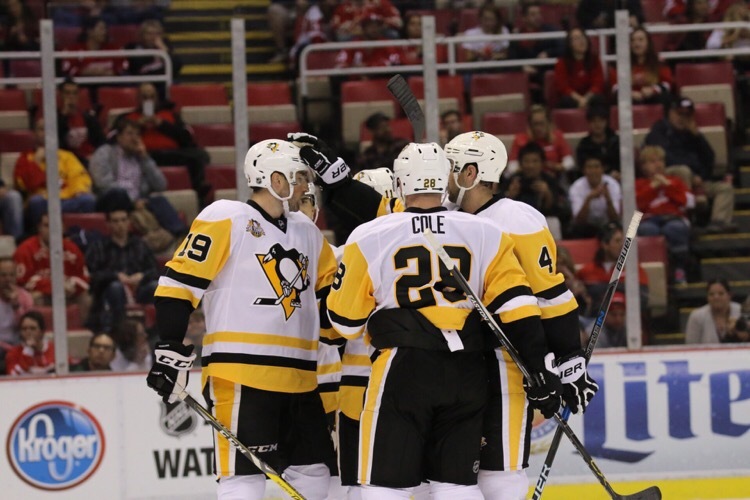 The Penguins have every intention of getting Olli Maatta to the point where he can play with Kris Letang and do it well so expect this amazing pairing from last season to stick around. Can you think of a better trade in recent memory? The David Perron one comes to mind, but nothing helped a very teetering defense more than trading an old, no longer serviceable defenseman for a puck moving defenseman with some foot speed to fit the scheme head coach Mike Sullivan put into place. Before I get talking about Ian Cole, how beautiful are those jerseys? Anyway, Cole started out last season terribly with Kris Letang. I mean bad. He eventually sat a couple games and come back around about mid way through the season. Cole didn’t score a single goal in the regular season either but he was a very good Defensive defenseman once playoff time came around. If Cole can replicate his second half play from last season, there’s no reason he can’t keep his spot in the lineup. 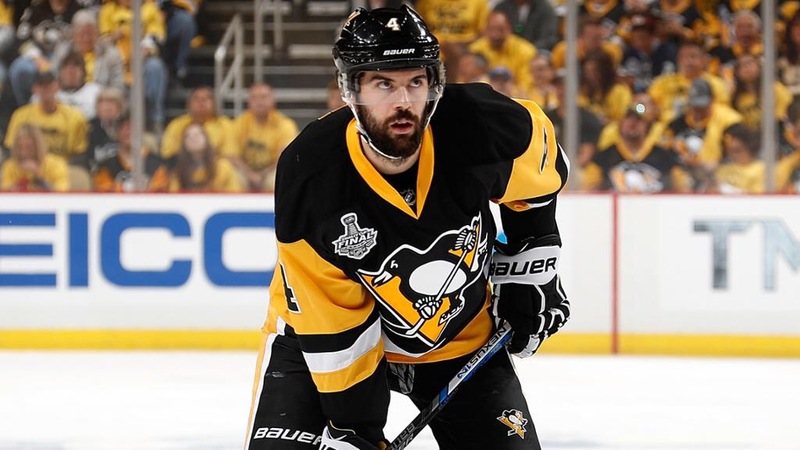 I like the fact that Justin Schultz was given up for a third round draft selection that was reacquired when they got rid of an excess player in Beau Bennett. Schultz wasn’t exactly an offensive protegé when he got here but he had Norris Trophy potential coming into the league. Unfortunately, being an Edmonton Oilers defenseman is something not too many people would do by choice. He can be an offensive threat for sure as his career high in goals is 11 for Edmonton. He had 1 goal in 18 regular season games for Pittsburgh so if he gets a consistent chance to play as a top-6 defenseman, expect that production to be higher this season. And finally, the interesting case of Derrick Pouliot, as I wrote about him about a week ago, is something that will be fun to monitor. I suspect you’ll get to see more of him this year but Jim Rutherford has really given some mixed signals about his plans for number 51. 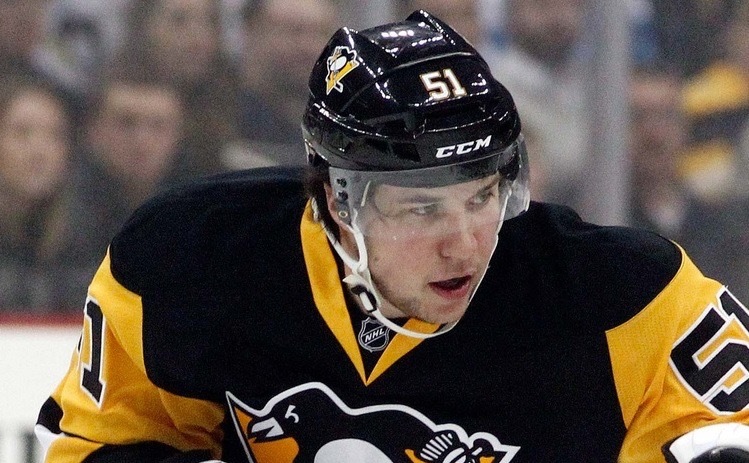 Many believe that he continues to endorse Pouliot because of his struggles and how they can boost his trade value. But if you’ve seen pictures, Pouliot looks like an entirely different person. He’s much skinnier and has cut his long hair. Could a changed physical appearance give him the opportunity to change his on-ice performance? Only time will be able to tell.